Microsoft (NASDAQ:MSFT) is taking a stab at helping overcome the Seattle housing crisis. Microsoft’s plan to help tackle the Seattle housing crisis includes investing $500 million in the effort. The company says that it will be divvying these funds up between various groups to help with the cause. Here’s how Microsoft plans to split the funds for the Seattle housing crisis. The final $25 million will be for “philanthropic grants to address homelessness” in the area. This includes two initial funds of $5 million. One will go toward helping prevent homelessness and the other will address current homelessness in the area. Microsoft says it will be investing this money into the Seattle area over the next three years. 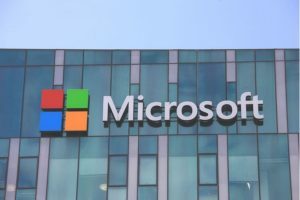 Article printed from InvestorPlace Media, https://investorplace.com/2019/01/seattle-housing-crisis-gets-help-from-microsoft/.